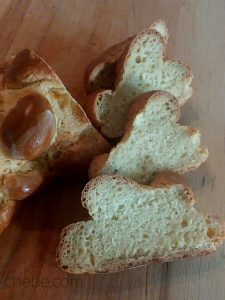 With a slightly crisp and golden brown crust, a soft, chewy center, and lightly sweetened with sugar and honey, this challah bread is superb! And with (OU Kosher) Chēbē as the base, it is free of gluten, grain, dairy and even yeast. 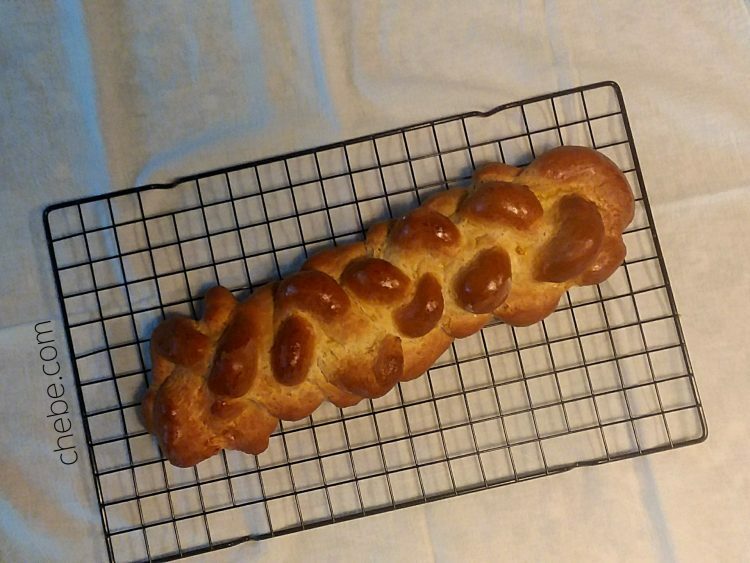 Are you a fan of challah? You gotta try this one! In a bowl and using a fork, blend well the Chebe mix with the baking powder and sugar. Slowly blend in the eggs, honey, milk substitute, and oil. Continue mixing with the fork for a couple of minutes, then switch to using your hands. 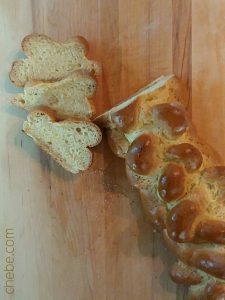 Mix and knead until the dough is smooth and well blended. 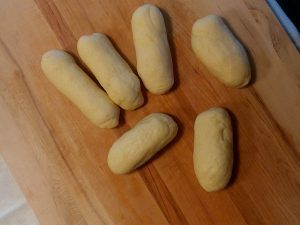 You will have about 27 oz of dough. 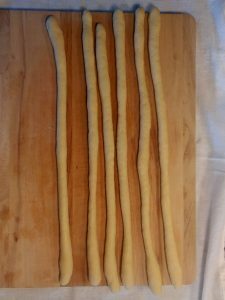 Separate the dough into 6 equal pieces (about 4.5 oz each) and roll each one to equal sized ropes of about 15 inches. 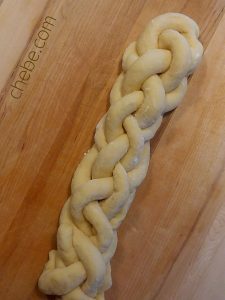 (Watch the video to see how to braid the six ropes of dough to make the challah loaf.) You may want to use a small amount of gluten free flour or food starch to dust the prep surface. Place the loaf on a baking sheet. You may use parchment paper, but it is optional. 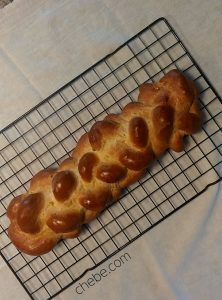 Brush the loaf generously with egg wash, getting into the crevices with your brush. Bake in the center of the oven for 22 – 23 minutes. Remove and place the loaf on a cooling rack for 30 to 40 minutes. Slice and top with a drizzle of honey and a sprinkle of coarse kosher salt. Top with poppy seeds or sesame seeds after applying the egg wash. It is best fresh, but you can store this for a day in an airtight container. You can also toast it or grill it in a panini press. Check out Chēbē All Purpose Mix here.